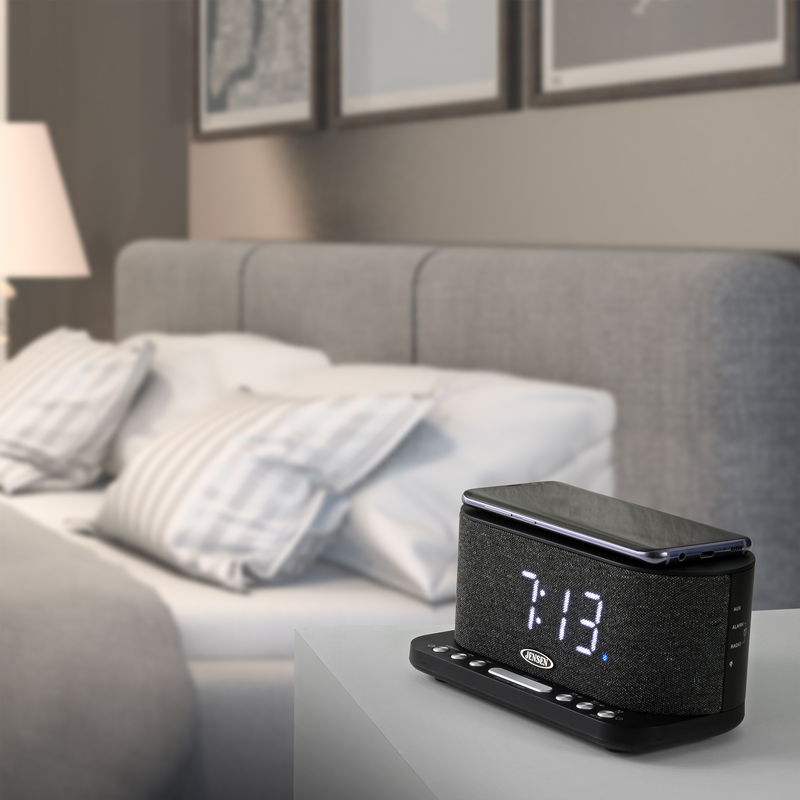 The JENSEN QiCR-50 digital dual alarm clock radio offers a sleek compact design with two ways to charge your smart phone. 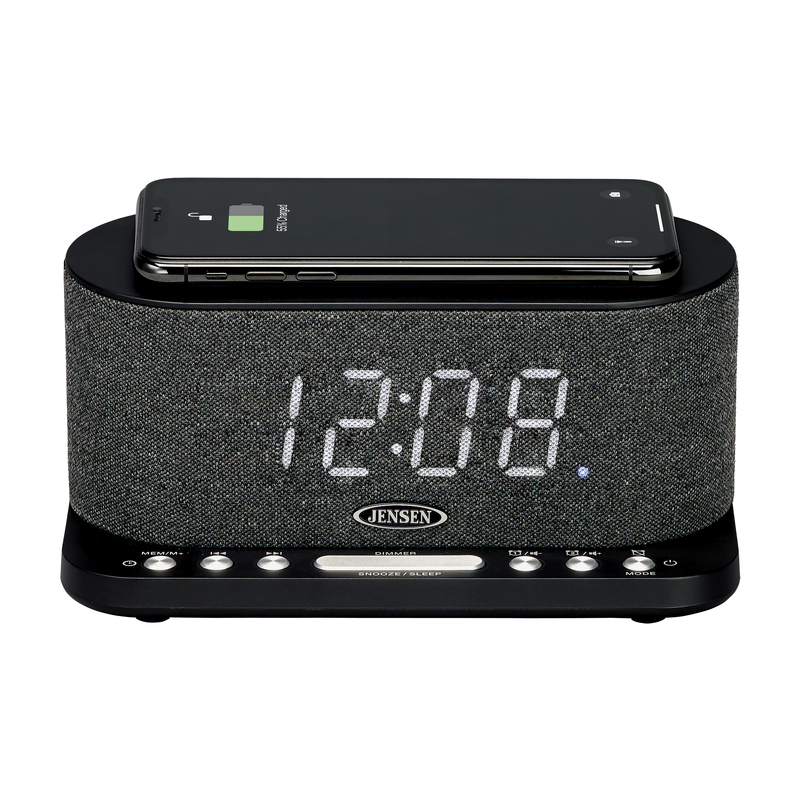 Many new smart phones feature wireless charging and the QiCR-50 includes a top mounted Qi wireless charging pad along with a 1 Amp USB charging port for handling all your charging needs. If you have a smart phone that features wireless charging, all you do is place it on top of the QiCR-50 to start charging. 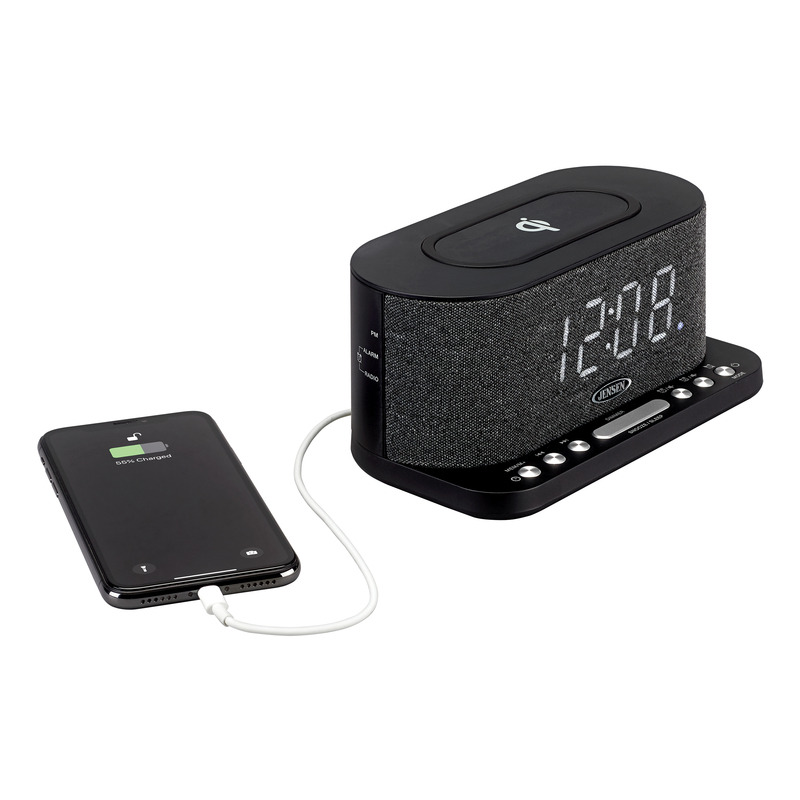 You can also charge your smart phone by plugging your charging cable (not included) into the 1 Amp USB charging port located on the back of the unit. 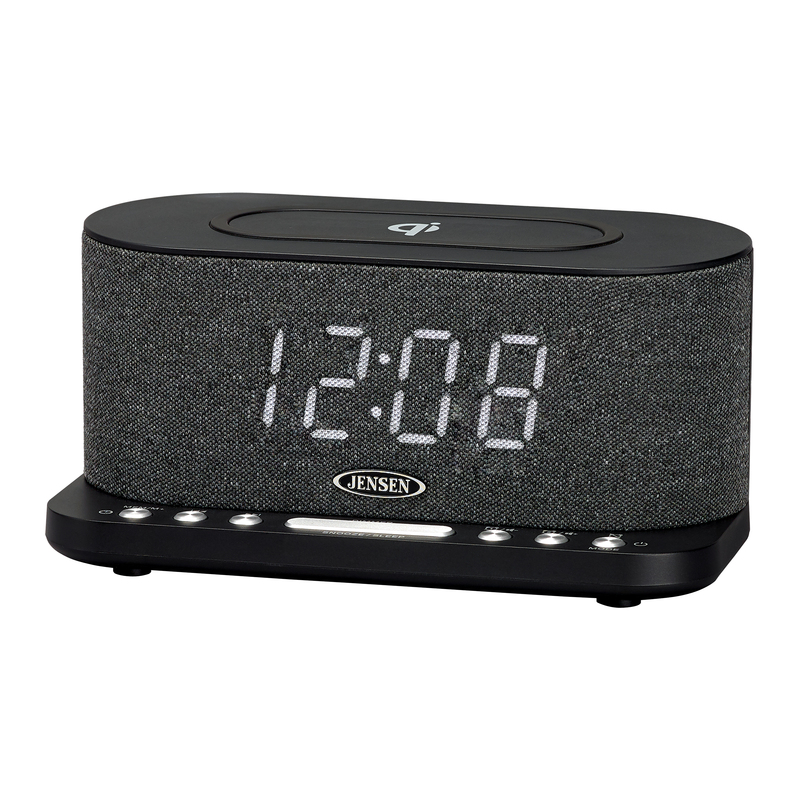 Also featured are two separate alarms that let you wake to the alarm or to your favorite FM radio station. The large 1.2” white LED display sits behind the cloth front panel and is large enough to be seen from across the room. 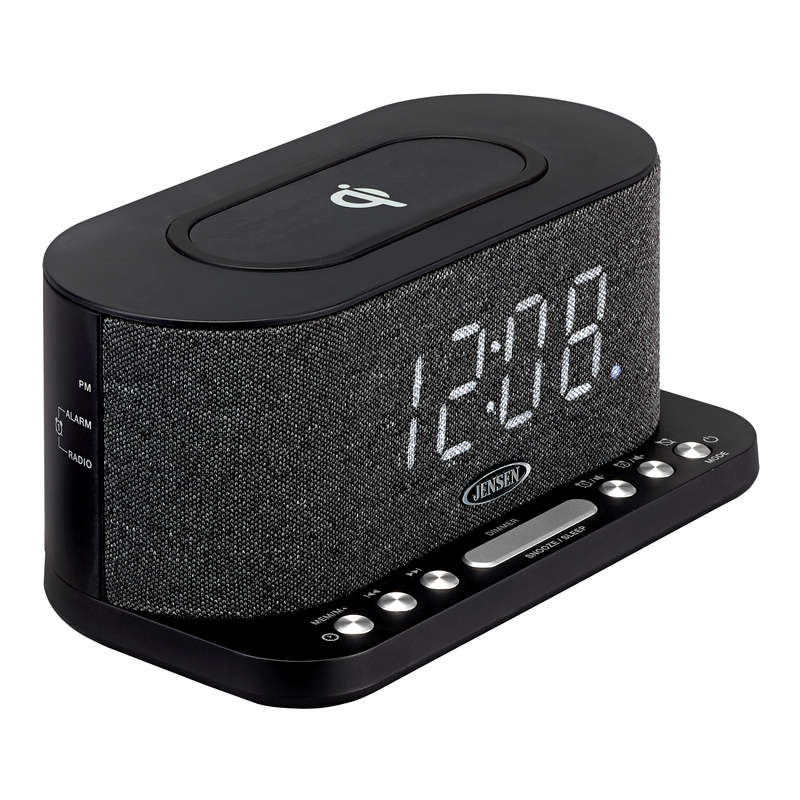 Other features include a dimmer control, sleep and snooze function and auxiliary input jack. The unit operates on 120V AC power, and has a battery back-up feature for saving your time settings in case of a power outage.